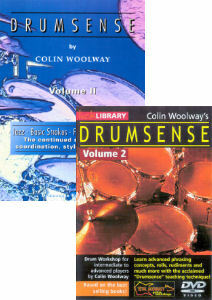 Back to product list Get this classic tuition text together with a DVD in which Colin Woolway presents all the exercises in the book - and more! Save £4 compared to buying these items separately. Please note that the DVD in this bundle is formatted for the PAL system used in most countries. It will not work in players which will not play PAL discs, most notably in USA and Japan.